FEDERAL Airports Authority of Nigeria (FAAN) has commissioned 3 ultra-modern carousels and conveyor belts at the D-Arrivals of the Murtala Muhammed International Airport (MMIA) as part of efforts to reduce delays and fast track departure formalities of arriving passengers. 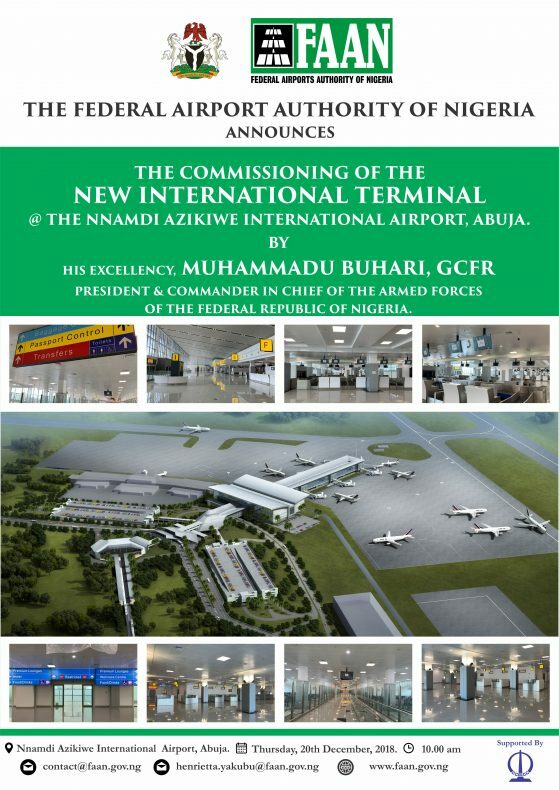 The facility is one of many projects embarked by the Federal government to hasten passengers’ facilitation at the airports to keep pace with the growing traffic which has been on the increase since the commencement of the remodeling project, and the immense growth of the country as the fastest growing economy in Africa. The timing of this world-class facility is in consonance with the Authority’s readiness to thrill her esteem airport users with a fascinating travel experience especially with the approaching festive season usually associated with increased inbound passengers and luggage. The Authority assures all airport users of improved quality services in line with global best practices as we are not unmindful of the need to provide world-class facilities in spite of the economic challenges facing the country. The carousels were commissioned by the Managing Director, Federal Airports Authority of Nigeria, Engr. Saleh Dunoma. Present at the event were General Manager, Mechanical, Engr. 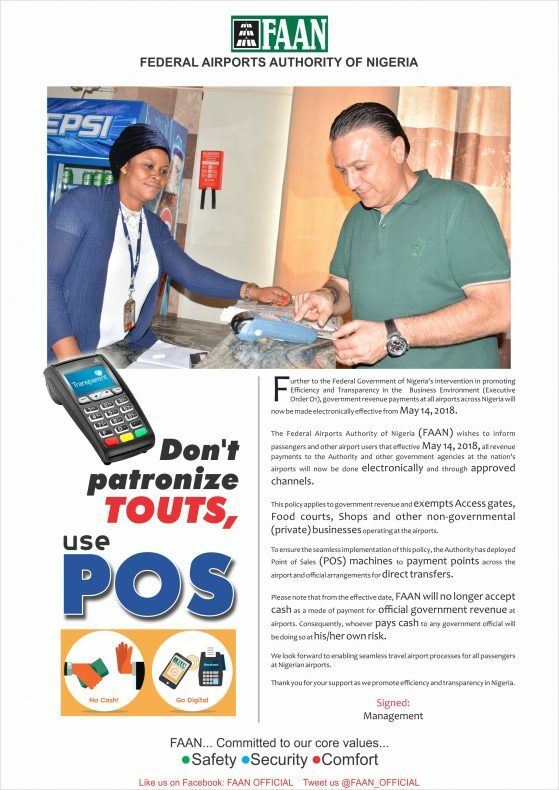 Ephraim Nwodo, Chief of Staff to the Managing Director, Mahmuda Zakari, Director, Finance & Accounts, Nike Aboderin, Regional General Manager, Sola Adugbemi, Airport Manager, Nehemiah Auta, International Terminal Manager, Joke Olatunji and other top management staff, airline officials and service providers.